The pudding cap I am working to recreate. 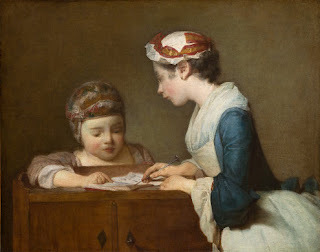 I'm working on a pudding cap for my toddler, chronicled at the Crazy Concord Chicks blog. As we know, pudding caps were protective helmets worn by 18th century toddlers to help them when learning to walk. 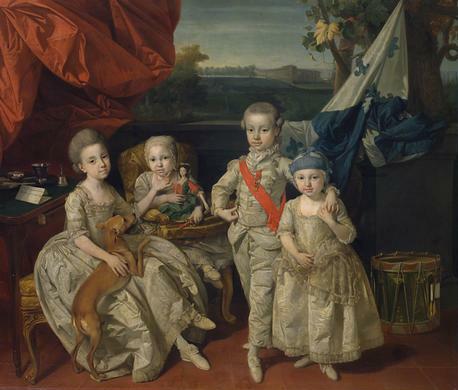 Several examples survive and there are many paintings that show toddlers wearing them. 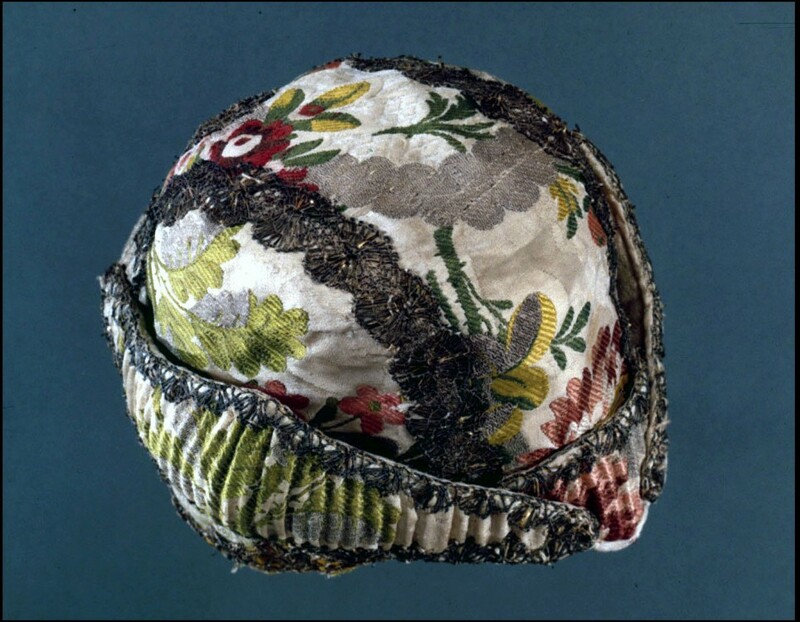 Child's bonnet and separate padded pudding of beige silk brocaded in polychrome silk and metallic thread in a floral pattern. Trim of gold metallic lace. Linen lining. Pudding #2 is padded with straw or bast fiber. 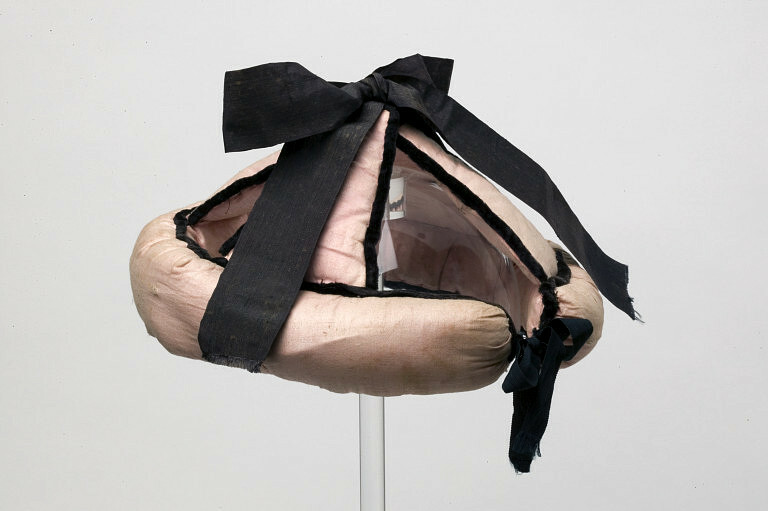 Quilted cotton velvet bound with silk ribbon, horsehair stuffing, leather lining. 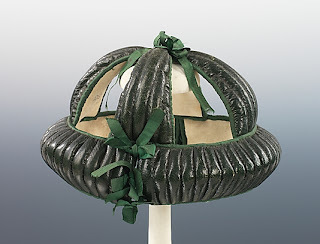 According to Linda Baumgarten in What Clothes Reveal, "The pudding cap apparently got its name from its resemblance to pudding molds used in kitchens" and they could be bought ready-made (p.166) The Met's website states, "It was thought that if children fell too frequently unprotected their brains would turn to a soft pudding-like consistency, hence the name 'pudding cap.' 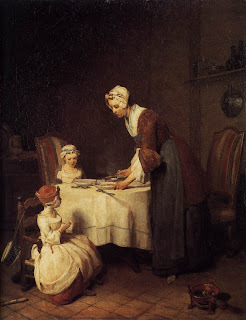 Children were often referred to as "little pudding heads" because of this belief." Which source for the origins of the term is correct? I'm not sure...maybe both are. The idea of the pudding cap, in terms of protecting a curious toddler's head, is not a bad idea and I wonder why we don't use it today. 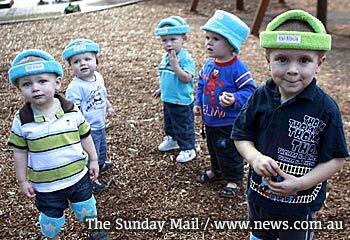 In recent years, according to ThingaMaBaby.com, it seems there was a movement in Australia to require modern pudding caps in daycare centers, as children model in the photograph to the right. 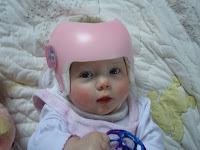 My little one had to wear a helmet for a medical issue when she was an infant. There were many occasions when she began exploring--crawling and walking--when I wished it still fit. What do you think...would you put a pudding cap on your pumpkin's head? When mine is complete, I think we might use it outside of attending living history events.